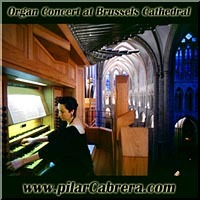 BRUSSELS CATHEDRAL - Organ music performed by Pilar Cabrera. 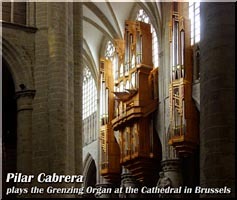 Organ Concert by Pilar Cabrera at the new Grenzing Organ of Brussels Cathedral. The complete concert is available for download in Mp3 Pro format (at 44.1 KHz). and broadcasting of this music prohibited.